Enjoy an exclusive wine experience at Château de Seguin ! In the heart of Entre-Deux-Mers, we will be happy to welcome you at Château de Seguin and to share with you a unique wine experience. With Vitishow you will discover the work of a vinegrower of Château de Seguin as well as old vineyard equipment dating a century ago. With a fascinating show of sound and lights we will breath life to the ancient wine presses that will share secrets of winemaking in the 20th century . Your visit will be followed by a wine tasting in our shop with a breathtaking vineyard view. Come and enjoy VITISHOW ! 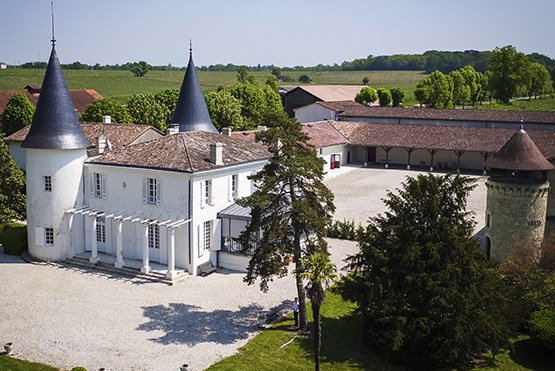 Located at 18 km far from Bordeaux, Château de Seguin is a family wine estate stretching over 173 ha of land in one piece with 97 ha planted with vines. Our worldwide famous wines reflet the great quality of our exceptional terroir. Château de Seguin is open to the public offering an elegant event space (weddings, business trainings etc. ), guest rooms, a wine museum and a shop with a large selection of wines of the region.